As a blogger I consider myself an entrepreneur because my blog is basically my brand. I am responsible for it's success or it's failure. For me, blogging isn't just a hobby but a way to get extra income. 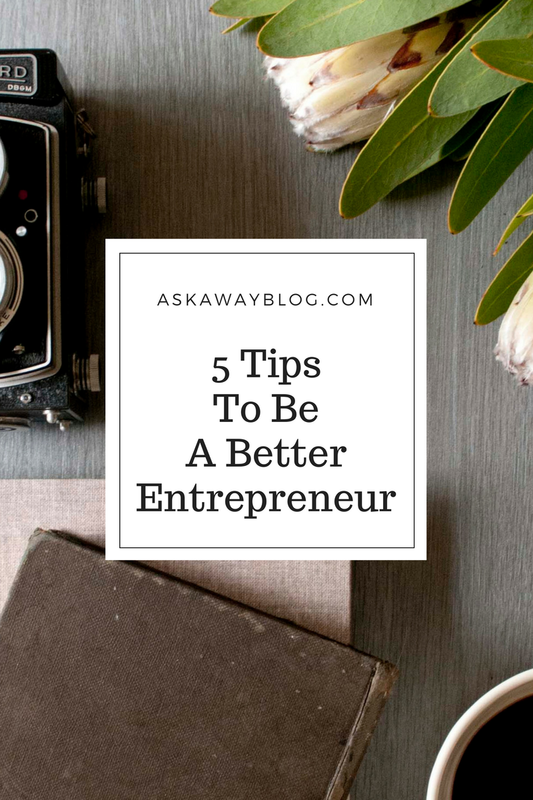 Whether you're a founder or co-founder of a company like Andrew Charlton or you're just a blogger or small business owner, there are several tips that can help you be a better entrepreneur. Depending on the protect or service you put out you will need to determine your audience and then focus on them. Is it millennials looking to become first time homeowners? Maybe it's middle-aged Americans that are struggling financially that you need to focus on but whomever it may be that needs to be what you focus on. Some people try to branch out too much too soon. It's smart to see how you do with your original audience before thinking of ways to expand. When I started as a blogger it was to give advice. That was a broad audience and I had to determine the topics people wanted advice on. 8 years later, I'm able to focus on different audiences based on the content. Sometimes it's new homeowners looking for decorating tips or maybe it's college graduates that are trying to pay off debt. Unless you hire someone to do your marketing work, you need to be able to sell yourself. There are several ways to market yourself whether it's simply networking in your region or social media promotion. Some people collaborate with others in their field to help get their name out there. Sign up for conferences and trainings to mingle with others and meet other people in your field. Their audience could easily become your audience as well. That old saying that it takes money to make money may seem very cliche but it's also very true. You can't expect to turn a profit without investing in your brand. Don't be afraid to spend money to invest in a professional logo or website and don't be stingy with paid advertising. The better quality your brand reflects, the better impression it will give potential customers. When I first started blogging I did everything myself which was fine but I wasn't really growing so I had to invest in a professional web designer to make my blog layout and logo. I've purchased advertising blocks and paid promotion on social media as well as investing money in conferences and training opportunities. Some people view everyone else in their field as competition and while they could potentially be somewhat of a competitor, you need to pay attention to their advice and what they seem to be doing right especially if you think you are failing at a certain aspect of your business. As a blogger, I'm friends with lots of other bloggers. I see them as friends and mentors because I always reach out to them for advice and they do the same with me. At the end of the day you need to think like your target audience because that's how you can critique your brand. If you think your website is hard to navigate when you visit it like a customer, then you need to consider improving it. When you go to put your product out ask yourself if YOU would find it useful if you were the customer. This seems like very basic advice but you would be surprised how many people forget about this. Hopefully, these tips help you look closer at what you may be doing right as an entrepreneur or what you need to improve.